You can use the TEXT field on your form. 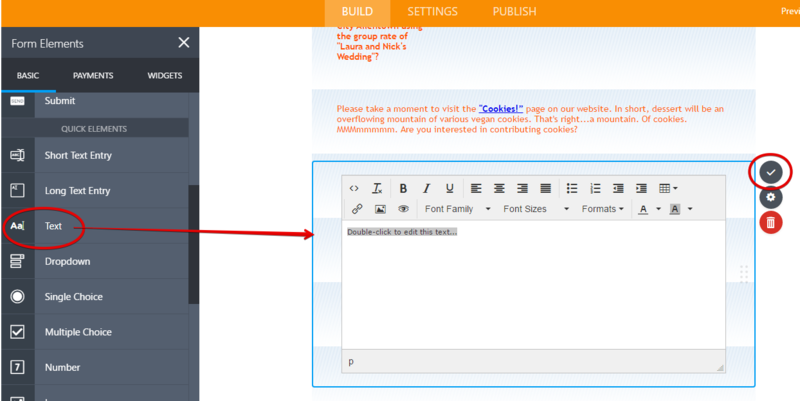 Use the TEXT field html editor to add text with link to the text questions. I apologize for the mistake and thank you for clarifying what exactly was the requirement. Base on the example you shared, I believe it can be achieved using Section Collapse field instead. You can style the format of the Collapse field so that it will appear like a text. Since the collapse field have collapsing feature it will behave similar to how it does on the example page you shared. Do try out "Form Collapse" field and see if that fits into your requirement.